"As a little boy I grew up helping my mother make apple and fruit pies. She was from Cork in southern Ireland so I'm guessing the recipe is Irish and possibly the same one her mother taught her. Sadly my mum is no longer with us, but her legendary apple pie lives on in my memory. I promise you will love this pie!" Outstanding pie!! I cut back on the nutmeg and added cinnamon for my preference. The crust was outstanding!! I thought I had the perfect crust recipe but this one is better! 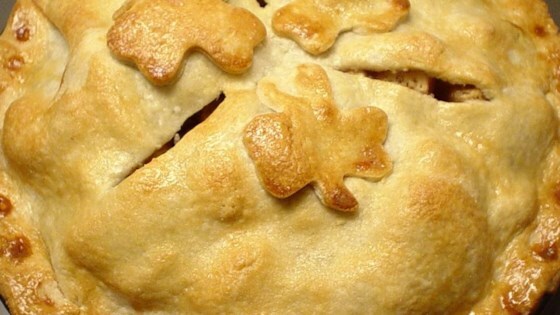 I used a frozen crust because I was short on time, but the filling for the apple pie is great. Next time I'll make the crust too. i added some cinnamin, allspice, and about 1/4 cup light brown sugar. best apple pie i've ever had!!!!!! !